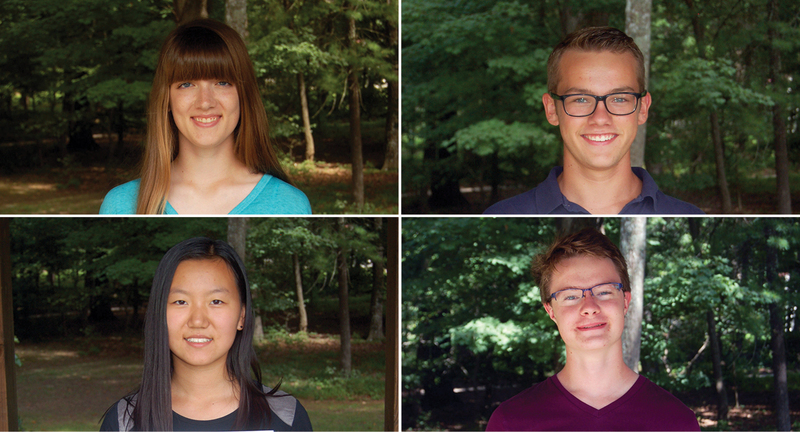 Three students at St. Andrew's-Sewanee School have received highly coveted invitations to the Tennessee Governor's Schools, and one was accepted as an alternate. Katie Giltner, a sophomore day student from Manchester, was accepted to the Governor's School for the Sciences at the University of Tennessee-Knoxville. Cooper Nickels, a junior day student from Manchester was accepted to the Governor's School for Engineering at the University of Tennessee-Knoxville. Winnie Fang, a sophomore boarding student from Shanghai, China was accepted to the Governor's School for the Sciences at the University of Tennessee-Knoxville. Andrew Bachman, a junior day student from Sewanee, is the alternate for the School for Computational Physics at Austin Peay State University. The State of Tennessee provides 12 summer programs for gifted and talented high school students. These programs provide challenging and intensive learning experiences in these disciplines: Humanities, Sciences, Arts, International Studies, Scientific Exploration of Tennessee Heritage, Prospective Teaching, Emerging Technologies, Engineering, Information Technology Leadership, Agricultural Sciences, Computational Physics, and Scientific Models and Data Analysis. Room and board is free to the participants (except in the Arts) and all participants may receive college credit.